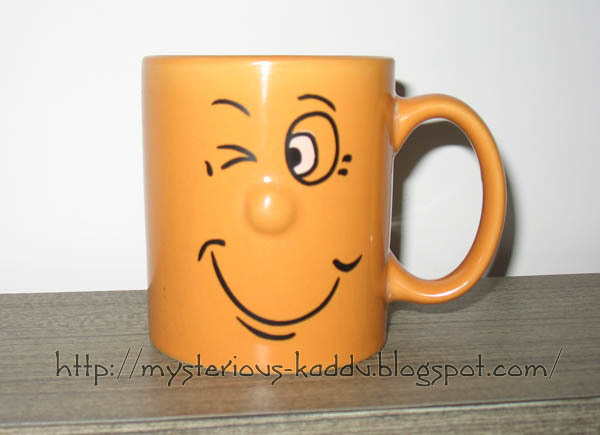 Home » art , art-I-liked , humour , photography , UBC-Rushed-Reflections , Wordless-Wednesday » Wordless Wednesday: My Winking Mug! Is this one of those mugs that changes colour when you pour in some hot beverage? Nope. It belongs to the pre color-changing-mugs era.